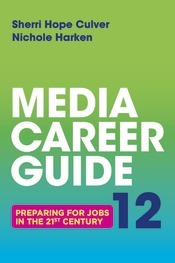 Targeted to today's media-savvy students, and now updated annually, this essential manual provides a comprehensive directory of media jobs, then walks readers through the entire job-search process—from researching a company to applying for jobs to displaying appropriate behavior in the workplace. In includes helpful advice for getting hired in the emerging field of mobile media, as well as tips for developing and honing professional networking skills. The ideal free supplement. The text is available free when packaged with selected Bedford/St. Martin’s Communication titles, including Media and Culture: An Introduction to Mass Communication and Media Essentials by Richard Campbell, Christopher R. Martin, and Bettina Fabos.